I was studying for the math test I have in the up and coming test week, and I got a creative impulse all of a sudden. I used math to create something beautiful! Well… Not really, but math was involved, and it turned out okay. Just a nice pattern and such. Do not mind the ton of brackets I added in, I always go wild with those thing. I then manually colored in the space between the lines, and got the result you can see above. I really should go back to studying, though. See you next time! 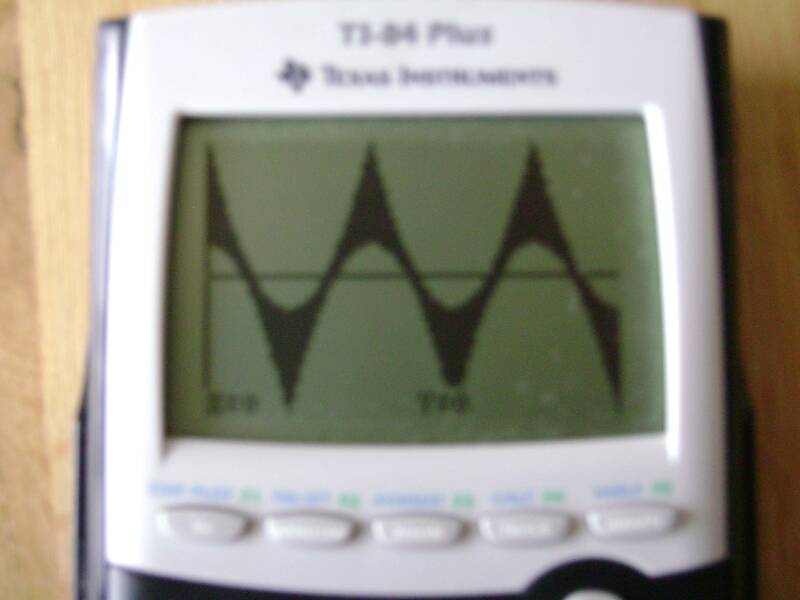 Ah, TI-84, always a good time. Haha I’m the same way. Its better to have too many than too few IMO. Especially in engineering. That way you know you got it right. I guess you can view them as such, yesh. Those are fangs.. Nah kabaji? < What if time were to stop?